As we’ve covered many times on The Rideshare Guy, insurance (getting it, paying for it, using it, etc.) can be confusing. However, RSG contributor Melissa Berry is here to break down the important parts of what you need to know about the cost of uber insurance or rideshare insurance coverage, because what you don’t know can cost you. Did you know your deductible for Uber is $1,000 in periods 2 and 3 and Lyft’s deductible is $2,500? This is the price you would have to pay in the event of an accident in periods 2 and 3 to get your car fixed. Even if you’re not at fault, you would have to pay this money while your car is in the shop while your insurance company and the other person’s insurance company works to determine who is at fault. Even if you do get reimbursed, could you handle this expense? If not, could you handle being out of work for days or weeks? If you’re not sure how long it takes for Uber/Lyft to process insurance claims, check out reader Tom’s experience here – it took months! Luckily, there are a few rideshare insurance providers who understand that many of us could not handle such a large expense and have policies to handle these situations. We’ll cover which auto insurance companies offer drivers some relief, plus answer some of your questions about insurance and accidents. 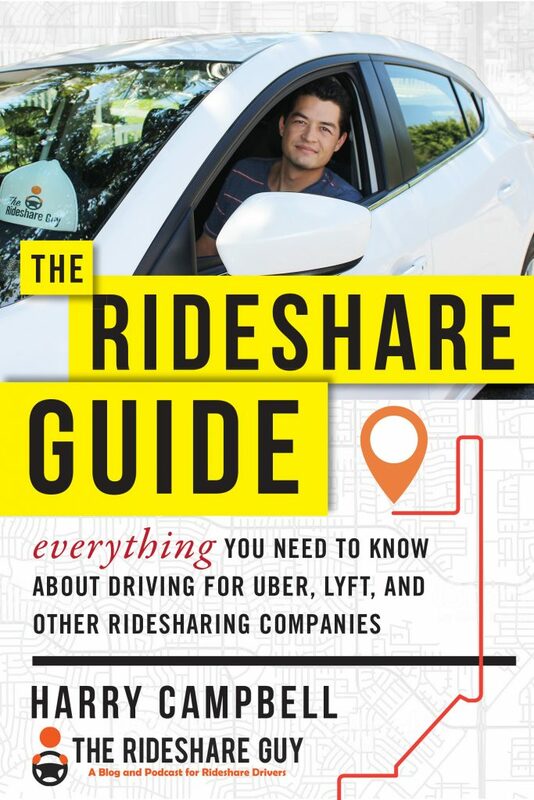 But first, what is rideshare insurance? First, rideshare driving is divided into three periods: period one is when you’re online waiting for requests, period two is when you’ve accepted a request and are en route to pick up the passenger, and period three is when you’ve acquired the passenger and are driving to their destination. There are two main types of rideshare insurance: gap coverage and extended coverage. Both types protect you by modifying the “commercial activity” clause in your contract so that you can drive for Uber and Lyft without the risk of getting dropped from the policy. Gap coverage extends your personal policy to include period one, ensuring that you’ll be adequately covered no matter when an accident occurs. During periods two and three, you’ll still rely on James River (or Uber’s other providers). Some gap insurers, like Allstate, have additional perks like deductible reimbursement, which we will cover below. Other companies offering gap coverage include Farmers, Mercury, and USAA. Extended coverage takes it a step further by expanding your coverage (deductible and all) to include all three periods. The most important benefit is that you won’t have to deal with Uber’s insurer. Extended coverage ensures that you won’t be in for any unpleasant surprises. More companies offering extended coverage include State Farm and Metlife. Others, like SafeCo, offer a sort of hybrid of the two types, depending on the details of your particular policy. Why Do I Need to Worry About Deductibles? Lyft’s deductible of $2,500 is the highest between Uber and Lyft, which many drivers are not aware of. This means if you get into an accident during a trip, Lyft will cover any liability claims up to $1 million (great, that’s good coverage!) but then you’ll have to make a collision claim with your personal insurance. Most will deny it since you were engaged in livery (hopefully they don’t drop you too) and that’s when Lyft’s collision coverage will step in. That all sounds great right? BUT Lyft’s collision coverage comes with a $2,500 deductible, which means that you are solely responsible for any damage up to $2,500. Without getting too into the weeds, a deductible is what you pay after an accident and filing an insurance claim – the remainder is covered by your insurance company. Let’s say you back into a wall while driving with passenger and cause $1,500 worth of damage to your vehicle. With Lyft, you’ll have to pay up to $2,500 first before recouping any money from Lyft. This means you will pay the entire amount of damage. With Uber, you’ll pay the $1,500 but since Uber’s deductible is $1,000, Uber should reimburse you for $500 (the difference between Uber’s deductible and your cost to repair your vehicle). As a quick aside, there are no deductibles for liability coverage. Deductibles apply to your vehicle for comprehensive, collision and uninsured motorist property damage. As always, please talk to your insurance agent for the most accurate information for your scenario and in your state. You can find a list of rideshare-friendly insurance agents here. Which Insurance Companies Can Help Me Avoid High Deductibles? Allstate’s rideshare coverage is unique – it provides coverage for your personal insurance, and during period 1. Allstate’s rideshare coverage also helps fill the gap that arises when a customer’s personal auto policy liability coverage limits are greater than what’s provided by Uber and Lyft during period 1, 2 and 3. The coverage also protects drivers against high deductibles that ridesharing companies have for their coverage. Allstate’s program helps pay the difference of the deductible you have with them, and what you would owe in period 2 and 3. For example: If you have a $500 deductible on your policy with Allstate, Allstate could pay the difference if you have an accident in period 2 and 3 to Uber and Lyft, in this case $500 to Uber and $2,000 to Lyft. Concerned about costs? According to California Allstate agent Doug Eisold, “on average our Rideshare coverage is $30 more every 6 months than just the standard insurance for your car.” We also break down insurance costs and comparisons here. Find an Allstate agent in your state here. Find a State Farm agent in your state here. Allstate and State Farm offer the most straightforward options for drivers when it comes to deductible coverage, but if they are not options in your state or you wish to remain with your current rideshare insurance company, ask them about their deductible coverage. You may be able to reduce your deductible (the amount you have to pay for damage to your vehicle before your insurance company steps in), or get some clarification from your rideshare insurance agent on how the process works. It pays to be informed about costs and the insurance process before the worst happens, so you can understand what you will be responsible if the time comes. 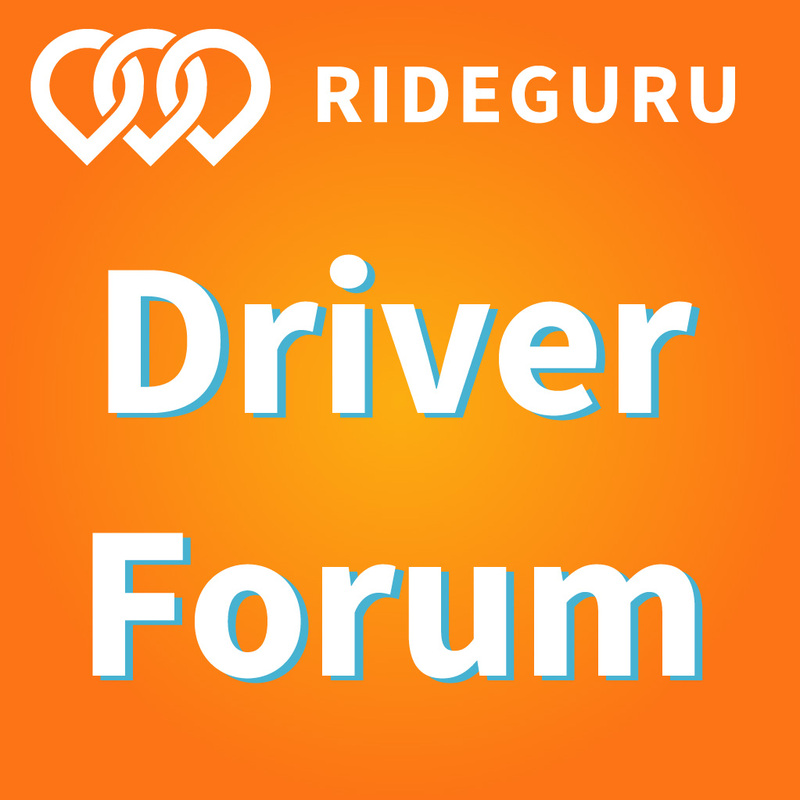 Don’t have rideshare insurance coverage? Find an agent in your state here. Let’s say you get hit by someone else and they are at fault. You shouldn’t be responsible for anything right? In this scenario, that is how it should play out, but as anyone who’s been involved in an accident can tell you that’s not always how things go. If you’re not at fault, you have the option to go through your insurance carrier (in this case it would be Lyft’s insurer: Marsh Risk & Insurance Services) or the other driver’s insurance carrier. If you opt for the latter, you have to hope that the insurance company will accept responsibility and pay out in a timely manner. Normally, the big carriers (State Farm, Progressive, Allstate) will do so, but there are a lot of carriers and situations where this may not be the case. If you end up having to go through Lyft’s insurance they will require you to pay the $2,500 deductible up front before you get any monetary help from them. Technically, Marsh is supposed to then go after the $2,500 from the other driver’s insurance company but this doesn’t always work out. So you could potentially be on the hook for $2,500 even if you weren’t at fault. Just in case you were wondering, Uber’s insurance works the exact same way but they have a $1,000 deductible, which I think is much more reasonable. Liability – Not used here since you were not at fault. Collision – This coverage is used temporarily until your insurance coverage can get payment from the other insurance company. With most insurance companies, you will be subject to a deductible until the other insurance company pays. Uninsured/Underinsured – This coverage is to protect you and your passengers should you get into an accident with an uninsured driver. This coverage will pay out in the case the other person is at fault but does not have insurance. Medical – This covers you and your passengers until the other insurance company pays. If the other driver is at fault, your insurance company should pay for the damages (mostly) and has a legal right and responsibility to collect from the insurance company of the at-fault party. This is a valuable service that insurance companies perform if you allow them to, if the damages are higher than your collision deductible and/or if there are injuries. But you also have the option of going through the other person’s insurance company and/or hiring a personal injury lawyer who specializes in rideshare insurance (they typically work for free if the other person is at fault and collect their fee at the end). If fault needs to be determined, then it is handled like the other person is at fault until responsibility for the accident can be assigned. So do you need car insurance for Lyft and Uber? In short, yes. If you want to be fully covered as a rideshare driver, you should get insurance. You can find a list of insurance providers in your state here, and we recommend you contact as many as are on the list so you can get the best coverage at the lowest price. It pays to shop around! What if You Are At Fault? Liability – This part of your policy will cover damage to other cars, property and people that were involved in the accident. Any injured persons that were in your car that are not direct family members are covered by liability as well. There is no deductible for any liability claims. Collision – This part of your policy covers damages to your own vehicle. There is usually a deductible associated with collision insurance and varies policy to policy. Medical – This is one of the most misunderstood parts of insurance. Medical insurance covers yourself and anyone else in your car for medical expenses prior to assignment of fault. Need an Uber Accident Attorney? Head to our Uber Accident Lawyer Marketplace where we’ve got more info about how to handle rideshare insurance after an accident. Is it better to get a policy that covers all three periods, or will gap coverage be enough? Extended rideshare coverage, as mentioned above, is better because you won’t have to deal with Uber or Lyft’s insurers – and in rare cases, having redundant coverage during periods two and three could come in handy. If the accident is catastrophic and outstrips the liability limits on your own policy, the damages should theoretically roll over to Uber or Lyft’s policy. Plus, if you have other benefits on your policy, like rental reimbursement, you’ll still be eligible for those regardless of whether you were on the clock when the accident happened. It’s also nice to have a good agent fighting for you in the event that the other person is at fault since you can go after lost wages, rental reimbursement, etc in that case. Gap coverage is usually (but not always) cheaper, so it may be a better choice if you only drive part-time – but depending on which company you go through, you may be on the hook for those high Uber and Lyft deductibles if an accident happens on the clock. The best way to choose is to get quotes from as many rideshare insurers as you can and compare your options. “Although Uber does offer collision coverage during periods two and three, that’s only true if you maintain collision insurance on your personal policy as well. Even then, Uber’s rather large $1,000 deductible still applies. What About Lyft Express Drive? Hat tip to reader David, who shared screenshots with us of Lyft’s recent changes to Lyft Express Drive. Lyft Express Drive is undergoing a series of changes, including an increase in weekly rental fees and a decrease in per mile rates, but one positive is the decrease in Lyft’s deductible (for Express Drivers only). Lyft Express drivers will find their deductible is decreasing from $2,500 to $1,000 – but this is only for drivers who use Lyft Express Drive. What About Uber’s Driver Injury Protection Program? Uber announced a 5 cent per mile pay increase in order to fund Driver Injury Protection insurance. Uber announced they are doing this in partnership with Aon as a program for drivers to sign up for injury protection and pay into a fund OR simply collect an extra $0.05/mile. That’s obviously not a huge pay increase, but every little bit counts. Disability Payments: earnings replacement to a maximum of $500/week. Medical Expenses: medical expenses to a maximum of $1,000,000 with no deductible or co pay. Survivor Benefits: to a maximum of $150,000 for your family. 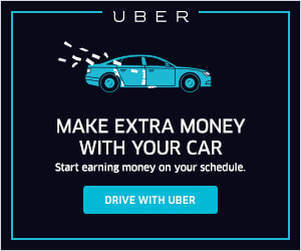 Basically, If an Uber driver is injured or hurt on the job, they will have their medical expenses covered with an earnings reimbursement of up to $500/week depending on their previous driver pay history. According to an Uber spokesman, this will include up to $1,000,000 in protection. This type of insurance can be valuable for a full-time driver who spends between 40 and 60 hours a week on the road because driving is inherently a dangerous job. The more time one spends on the road, the more likely they are to get into an accident or experience a situation where their back gives out while lugging Larry’s luggage at the airport. The program is not available in all states yet, but if it is offered in your state, you can sign up through your Uber driver app. You can read more about the program here. Vehicle damage can be costly, even if the accident or collision wasn’t your fault. Here at RSG, we get emails from drivers almost everyday who didn’t understand they would need to pay upfront to get their car repaired and out of the shop. In addition to repair costs, drivers are also unable to drive and earn more money. With policies from the agencies listed here, drivers have a little more peace of mind that repair costs will be manageable and reimbursed. Drivers, were you aware of Lyft’s super high deductible? 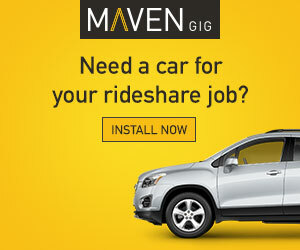 What rideshare insurance do you have?